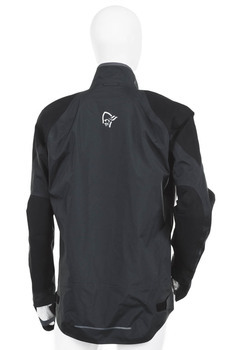 Durable and waterproof breathable Enduro/downhill jacket, giving you ultimate protection on wet and cold weather days. Made in Gore-Tex Pro shell with additional panels in a new Gore-Tex material with excellent 4-way stretch performance for a close fit with no restriction on movement. Several smart features such as the venting possibilities & hand protection. 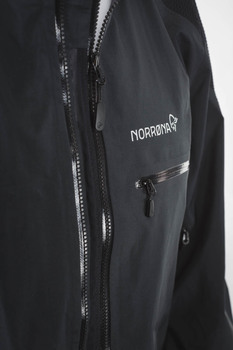 The ventilation system is built on the principle to get the fresh air in from the front through our double center front zip which allows you both to get air in the jacket as well as adjusting the width. 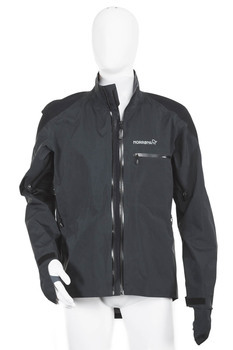 Viele intelligente Detaillösungen machen diese Gore-Tex-Jacke preiswürdig. Durch die großzügige Ventilation und das spezielle Design sind Biker rundum geschützt, einschließlich der Hände.